The chaotic scene of crowds of people filling up the streets may seem like a mayhem at first glance. However, during a Japanese matsuri, all that chaos mixed together instead creates a sense of unity. Kichijoji’s autumn festival is one of such matsuri. Each small district within the area carry their own mikoshi (a small, portable Shinto shrine) on their shoulders while zigzagging across Kichijoji in random paths. 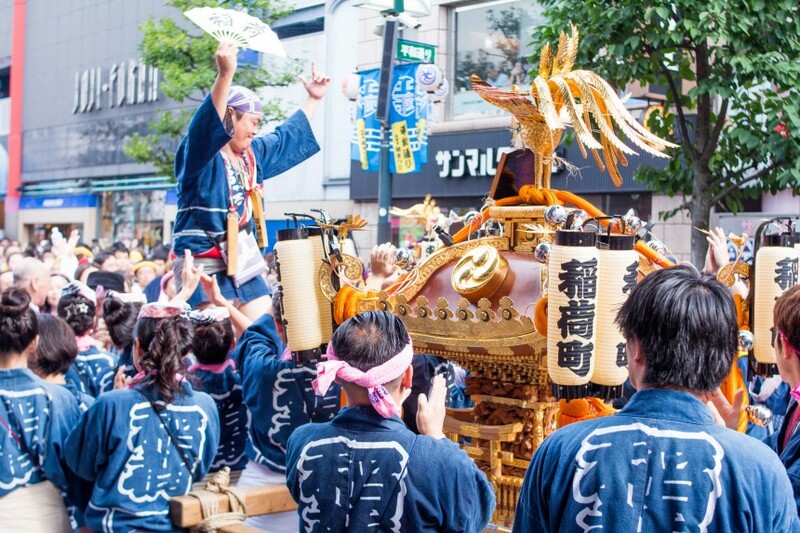 Each time the mikoshi from different districts pass each other, the shouting voices turn into overlapping roars of people chanting their own district’s cries. It really is a sight to see and reading this won’t help you understand the heat of the Kichijoji Autumn matsuri. Summer isn’t over until you immerse yourself into the sea of people at this autumn festival!